We have seen digital marketing grow in importance in 2017. Various innovations and developments like chatbots and live streaming took a foothold in the marketing industry. Will 2018 be any different? Let’s take a closer look at several trends digital marketers should watch for in 2018. In 2017, Google launched Home, a brand of smart speakers that enables you to use voice commands to play music, call friends, and interact with various services. While it’s hardly the first smart speaker on the market, Google’s entry into the scene has further bolstered the profile of voice search, which made quite an impact in 2017 and will only become more prominent in 2018. 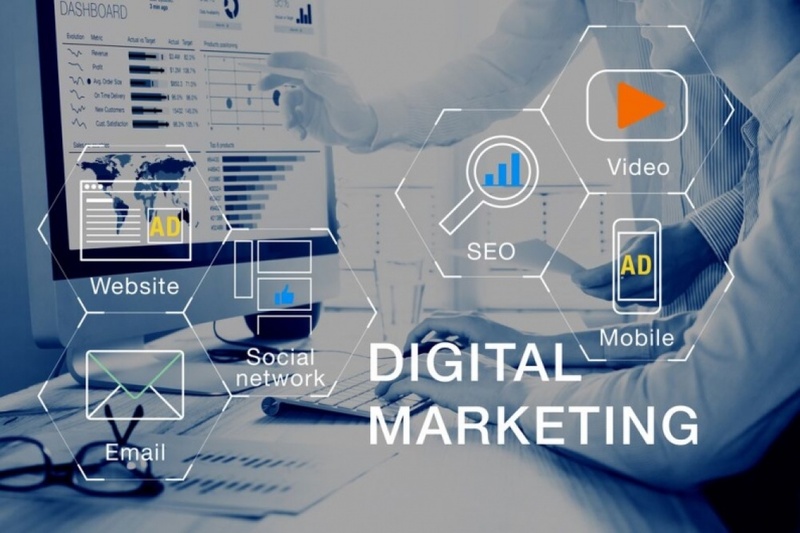 It is a sure thing that digital marketers will make voice search an integral part of their strategies, especially after a survey revealed that by 2020, half of the searches performed on Google would be voice searches. It’s clear this is one of the trends digital marketers should watch for years to come. It doesn’t take a genius to figure out that given a choice between reading a 3,000-word article and watching a 2-minute video that covers the same topic, people will always go for the one with the music, spoken words, and moving images. No matter how brilliantly-written the article, a video will always present the same information in a much more compelling way. Videos are also more direct, and marketers will always want their point to come across as quickly as possible, which a video always does. In fact, research has found out that sites that put videos on their landing pages saw their conversions rise. This has been on the list of trends digital marketers should watch for a few years now. 2017 also saw more people do Facebook Live videos across all niches. There will be more of the same in 2018, with more marketers jumping on the bandwagon to push their brands. One of the trends digital marketers should watch for might not be on your radar. Digital marketers are aware that most people don’t really like sharing personal information that landing pages typically ask for to get leads. To reassure them that their information will be protected and used properly, we can expect brands to make moves to reinforce the encryption and security on their websites. A system with better encryption and security will make people trust them more to willingly provide information and boost their leads and eventually, conversions. Well, it’s a little too early to say that chatbots will rule the world, but they surely are making baby steps towards it. In 2017, chatbots dramatically changed customer support—and business in general. While the AI being used by these chatbots still has plenty of room for improvement, it has nevertheless come a long way in delivering better customer experience. Some chatbots are so good customers have a hard time telling whether they’re dealing with a human or a computer. 2017 may have been the year of digital marketing, but the way things look, 2018 will become an even bigger year for those in the industry. A lot of the trends digital marketers should watch for could change the game. This article was originally published on Integrated Marketing Association.